Quick update guys, Im phasing out the clear poly tubing and using a Trans white type poly tubing that does not require sanding, it fits the blade holders better and it also looks better in my opinion. Some of the shaver heads we use are getting hard to find so just letting you guys know that the shaver heads may vary in appearance a bit due to using a different shaver head. I reserve the right to make changes to the blade plugs design in order to make product improvements . DO NOT PM ME WITH YOUR ORDER, PLEASE PLACE IT HERE, AND PLEASE STATE IF YOU LIVE IN THE USA OR INTERNATIONAL. FOR YOUR OWN SECURITY DO NOT POST YOUR NAME OR ADDRESS IN THE SALES THREAD, PLEASE PM IT TO ME. 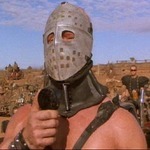 As most of you guys know ARKM asked me to take over his Razor Blade, Blade plugs. 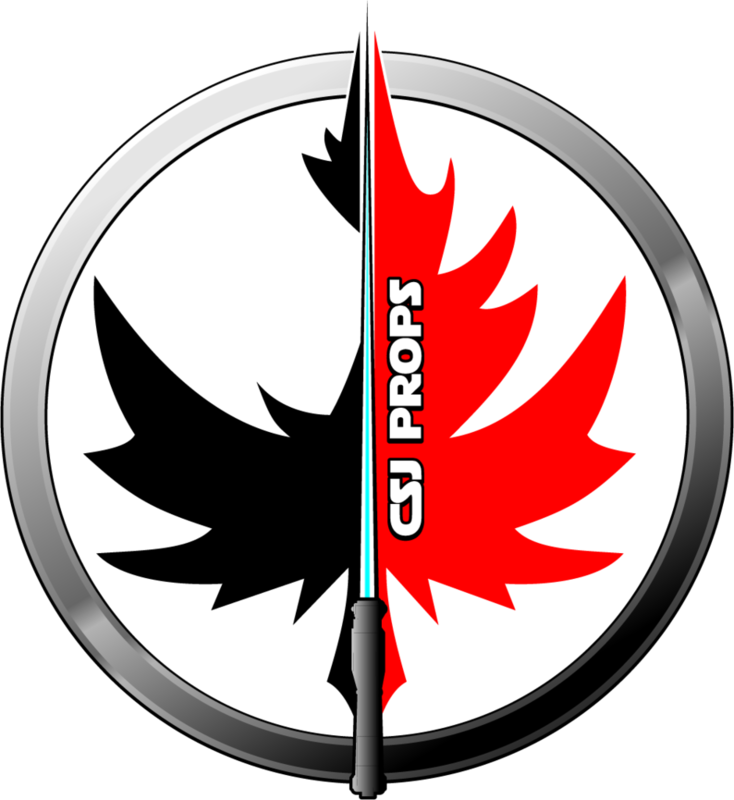 Those of you that want one list your screen name below and which style plug you want , Blade Diameter, and overall length. I will make them as I have the supplies in stock. 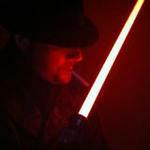 ALL BLADE PLUG DESIGNS THAT USE A SHAVER HEAD WITH OR WITHOUT THE BLADE IN THEIR DESIGN IS THE INTELLECTUAL PROPERTY OF DARKSIDE ENGINEERING AND ARKM SABERS. LEGAL ACTION WILL BE TAKEN IF THESE RIGHTS ARE VIOLATED! 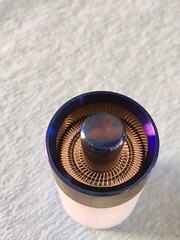 The Razor blade plugs are comprised of a rotary shaver head, a custom lathed piece of white plastic, a small piece of polycarbonate tubing and a machined metal ring that borders the shaver head. 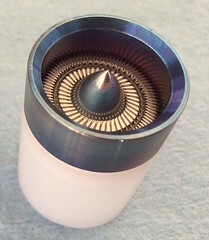 The Turbine versions also have a metal cone in the top center of the shaver head. The overall length of the blade plugs can be anywhere between 1" to 2", depending on your needs. 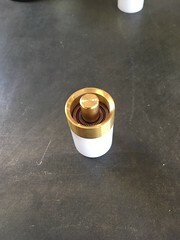 I make several versions of this blade plug. More versions will be made in the near future The names for each type of blade plug are as follows, R2, R2D2, R2T and R2D2T. The D2 stands for "Design Two". The T stands for "Turbine". You may also see some Razor Turbine blade plugs with the letter "B" at the end of the normal letter designation for those blade plugs. The B means that it has a polished brass cone instead of an aluminum one. For example, an R2T with a brass cone would be an R2TB. The - S1, - S2 and - S3 are SHREDDER series plugs they add an additional "blade" between the shaver head and cone. 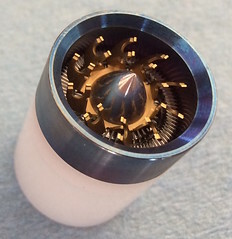 The difference between a D2 and a non D2 is that on the D2 models, I make the metal ring that goes around the shaver head (as well as the white plastic piece that the shaver head sits on), 7/8" O.D. instead of 1" O.D. This allows the blade plug "assembly" to sit completely inside thin-walled 1" O.D. polycarbonate tubing. This in turn allows for an additional ring of light on the outermost edge of the top of the blade plug. The Turbine versions offer a taller metal ring and an inner cone that makes it resemble a jet turbine engine. That cone comes in both aluminum or polished brass. NOTE: The polished brass cone is $2 extra. NEW ! Graflex Series , I will be adding new styles soon to this. 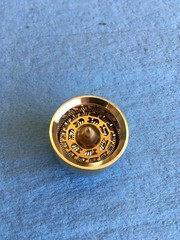 R2TBB (Brass Limited Edition Plug) $40 Available in 1" O.D. only Length of your choice. 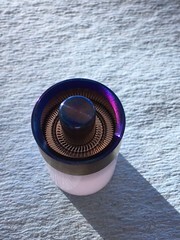 R2TTI (Titanium Edition Plug) $90 Available in 1" O.D. only Length of your choice. 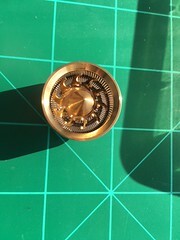 R2TCU (Copper Edition Plug) $50 Available in 1" O.D. only Length of your choice. 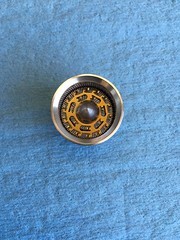 R2TBB GRAFLEX $50 (BRASS RING / BRASS CONE) Available in 1" O.D. only Length of your choice. 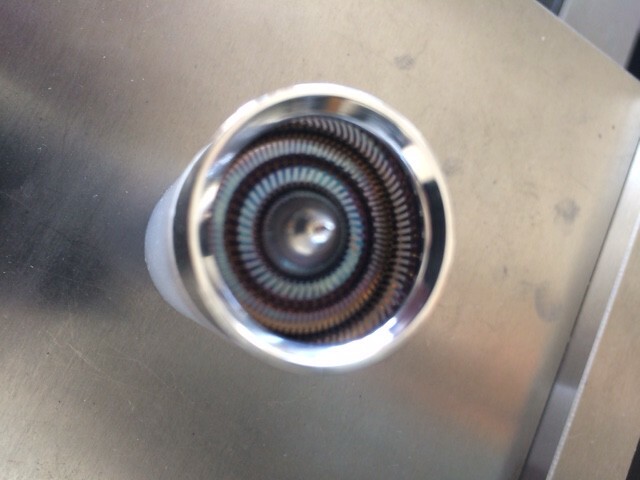 R2TTI GRAFLEX $90 VERY LIMITED EDITION (HEAT TREATED TITANIUM RING / TITANIUM STUD) Available in 1" O.D. only Length of your choice. Shredder Series 2 (TM) (combination of the original Razor Blade Plug and the Shredder series combined (fingers facing up) with a lower profile. SHREDDER SERIES 3 (TM) (COMBINATION OF THE ORIGINAL RAZOR BLADE PLUG AND THE SHREDDER SERIES COMBINED. 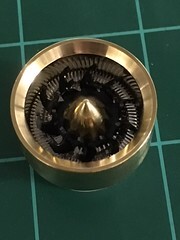 (New style Gold Ti Nitrate shredder blade). When you place your order here PLEASE state if you live in the USA or International so when I reply I can give you the price with shipping instead of having to send one email asking where you are and another email to give you the price, it saves both of us some time and will be easier that way. You can pay me via PayPal. My PayPal is [email protected] PLEASE CHECK THE PERSONAL PAYMENT - PAYMENT OWED BOX OTHERWISE ADD 4% TO THE TOTAL, THANKS. conus, reason for this change is that priority mail is faster and trackable I can also get close to 10 blade plugs in one box without charging extra for shipping. These blade plugs will only work on blade holders designed for 1" O.D. blades (and 7/8" O.D. blades if made by ARKM) as the shaver heads are over 3/4" in diameter. Blade plugs are only available in a 1" O.D. and only in thin-walled polyC. 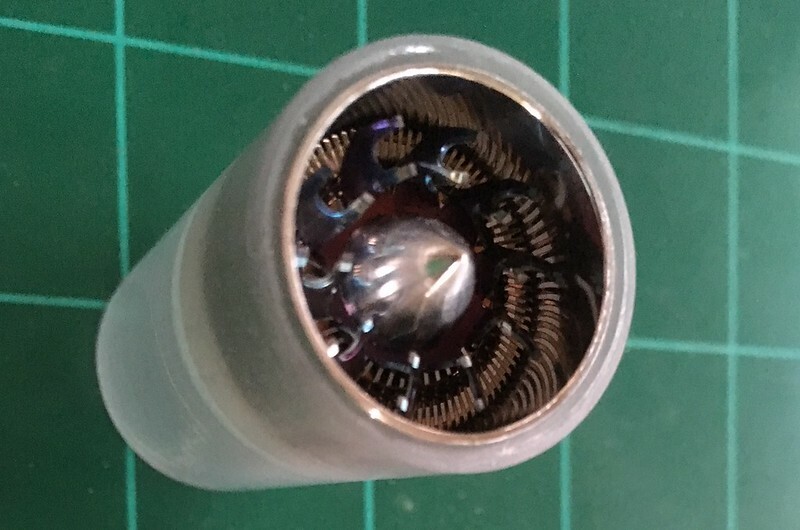 NOTE: If you have a turbine blade plug and you cant pull it out with your fingers DO NOT USE PLIERS, you will only scratch it up, instead get a 3/8 inside diameter rubber tubing / hose and push it on over the cone and you should be able to pull the blade plug out using the hose. Please contact ARKM via PM or email for any Razor blade plugs with a 7/8" O.D. I currently only make blade plugs with a 1" O.D. Please specify overall length. Minimum overall length is 1" and the maximum overall length is 2". 1.5 inches is the default option so if you don't specify this option, I will assume that you want it to be 1.5 inches long. You can either PM me, or if your NOT a member here email me at [email protected] to place your order. Or you can place your order by posting here. 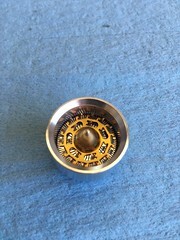 IF YOU ARE A MEMBER HERE PLEASE POST YOUR ORDER IN THIS SALES THREAD, DO NOT PM ME YOUR ORDER, IT WILL LIKELY BECOME LOST IN THE SEA OF PMs I GET, LOL. Style / Quantity / Blade Plug O.D. / Overall Length. I make plugs with a Trans White tubing, these do not need to be sanded. R2TB / 1 / 1.5" (or 1-1/2"). R2D2 / 1 / 1 - 1/4"
R2 / 3 / 1.25"
Those are just examples. You don't have to use that format if you don't want to and I don't have to have your forum name (but it helps if I do have it). Thanks. For status on your Razor blade plug order, please click on the link below. Thanks. 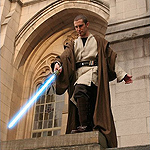 I'm a bit new to blade plugs (and sabers in general), but I read over ARKM's original post and saw that you have taken over. I know your supply is currently short, but would I be able to order 1 of each plug sanded? Would it also be easier for us to communicate by e-mail? Let me know if you can accommodate and if you can give me a total quote (pricing for all plugs + shipping) I'd appreciate it. Hello, I got redirected here by ARKM. I new to building sabers and don't know the specifics (size, length, what does R2D2 even mean?). 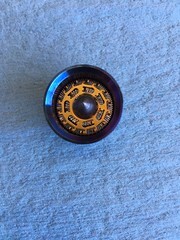 Are there pictures of available plugs I can look at? 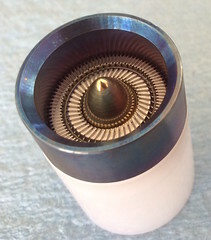 I remember ARKM making a turbine plug that looked pretty cool and if you can make that I would be very interested in purchasing one or two plugs. Thanks for the link. So I read through the post and I just have a few questions about some terminology used. What does O.D mean (for use in blade plug O.D), Polycarbonate Wall Thickness, and where is the sanding applied? Edited: IA beat me to it. fish94 - R2 and R2D2T. Both 1.5" long for 1" blade, sanded. QUICK UPDATE: I am going to try and have all current blade plug orders completed by next week, I have most of the parts machined now just a couple more to make and Ill be able to fill the orders. Just dropping by to say thanks! Pleasure doing business with you Caz. Expect a follow up order. Still making these bad boys? Would love one! hey, I just got some shaver heads in please post on the blade plug page which one you want and what size. R2D2 x 2, 1" OD, defaults for the rest are good. 1" sanded to fit a Graflex BH. Depth to be determined by you since you're making my BH. If you cannot recall my order -- I cannot find the PM on my side -- then I'll take one of each, all 1" OD. 4 of the six 1.5" long, the other two 1" and 2" respectively. I do not care which are which lengths. All sanded. Superseded by more recent post. Between Darkness and Light there is the... EPIC BEAR! Just in case my pm didn't reach you, payment sent. Please let me know when you receive it. Thanks! Please let me know how you next want me to proceed. 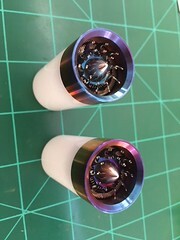 Hey guys quick update, the shaver heads are on back order right now so until the guy I get them from gets them back in stock all production is on hold, I hope it wont be much longer. Formerly Clark Kent aka So Cal. do you have anything for 3/4"
if so, let me know, i would like to buy it off you.